Halfpint Skillastics introduces a variety of physical activities for young children while encouraging creativity, imagination & academic integration in a non-threatening environment. Creating Play with a Purpose for 3-5 Year Olds that Combines Locomotor Movement, Music and Academic Learning. For young children, academic learning is playful and exploratory. 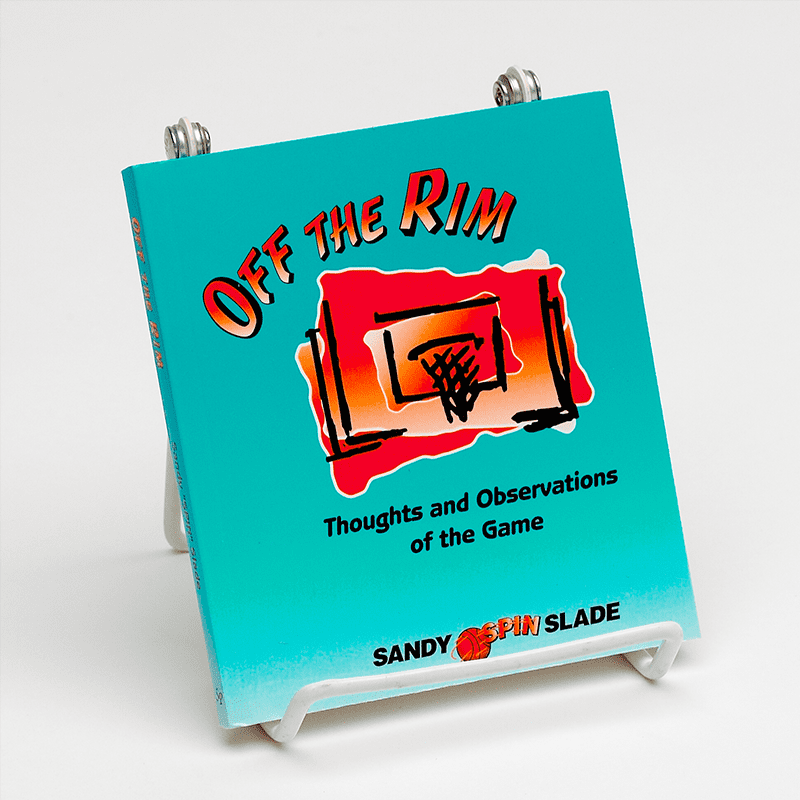 It’s ideal to create an environment where children can contribute their own ideas and problem-solving strategies. Through these collaborative learning activities, children are able to participate in the exercise game confidently. 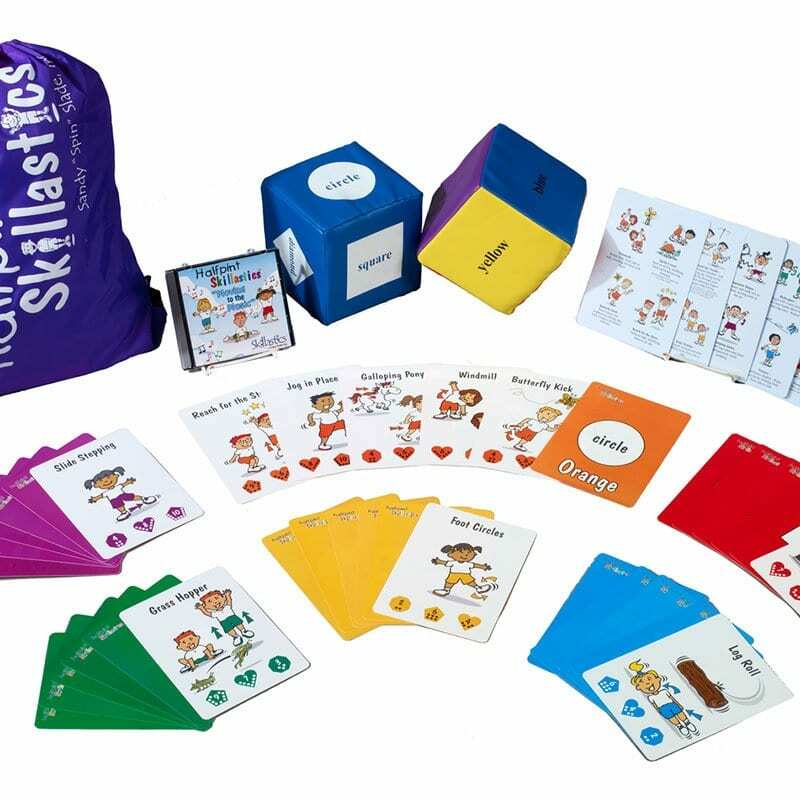 Halfpint Skillastics® allows instructors to use play to build success while creatively integrating academic goals and objectives. Halfpint Skillastics® incorporates oversize shape and color die, and 36 age-appropriate physical activities that are approved by Early Childhood Experts and aligned with the NAEYC Standards. Thirty-six physical activity cards are scattered (color & shape side face up) throughout the playing area. The instructor determines what the “shape of the day” will be (heart, octagon (stop sign) or pentagon (house), and shares that shape with the children. The instructor then assigns one child to roll the shape and color die. 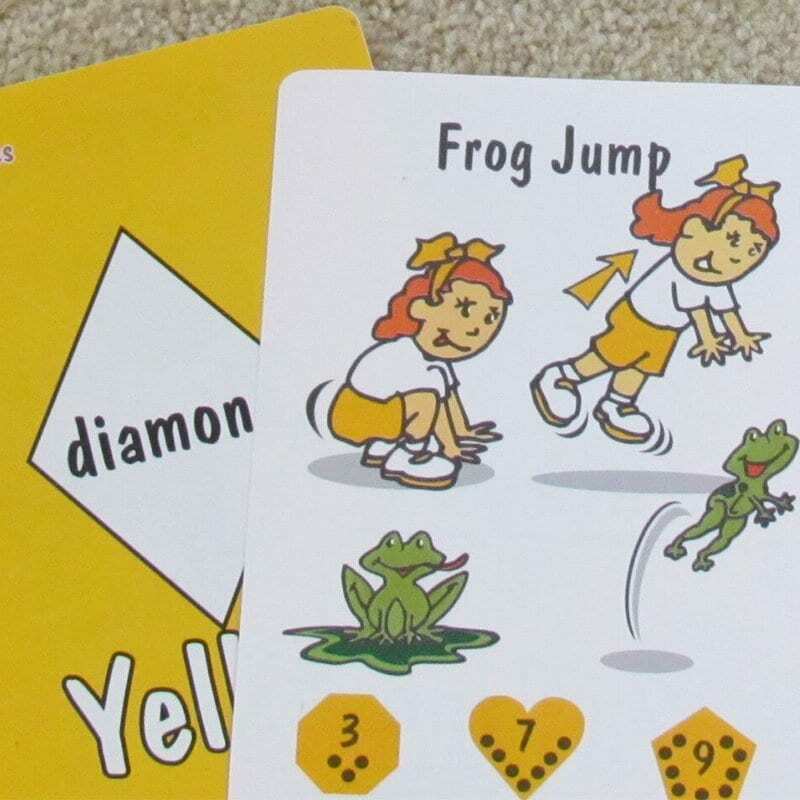 If the child rolls a yellow/circle, the child looks for a yellow/circle card among the dispersed cards. Once the child finds the card, he/she displays it the other children and they find the “shape of the day” at the bottom of the card. The children counts the dots or recognizes the number in that shape and then everyone does that physical activity that amount of repetitions. 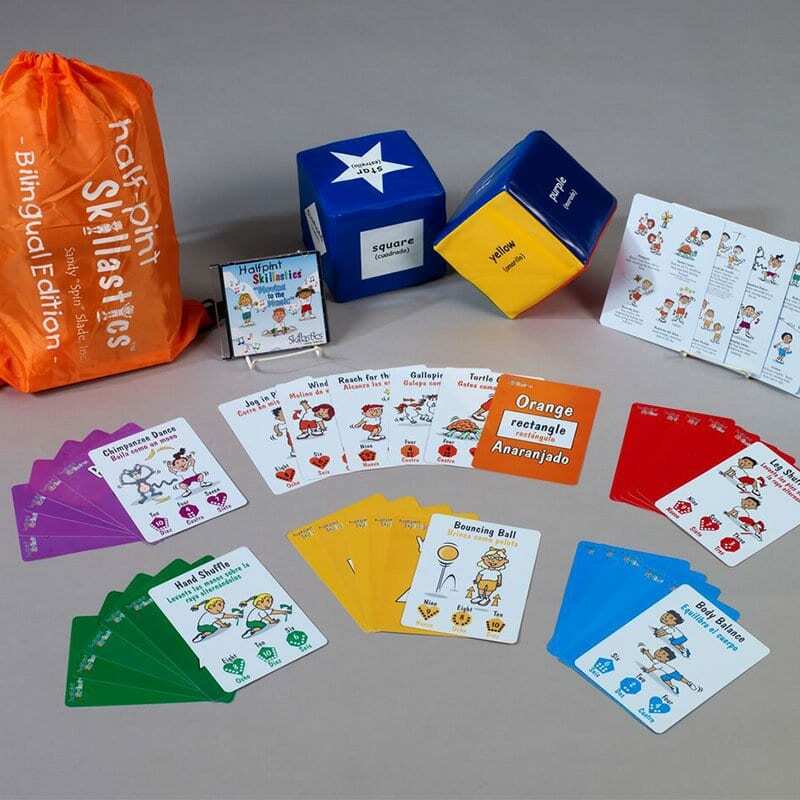 Halfpint Skillastics® these developmentally appropriate activities can be utilized in so many ways! Our K/1 students at PRES love Halfpint Skillastics. Students are able to be physically active in fun and different ways. Students really love to roll the dice. 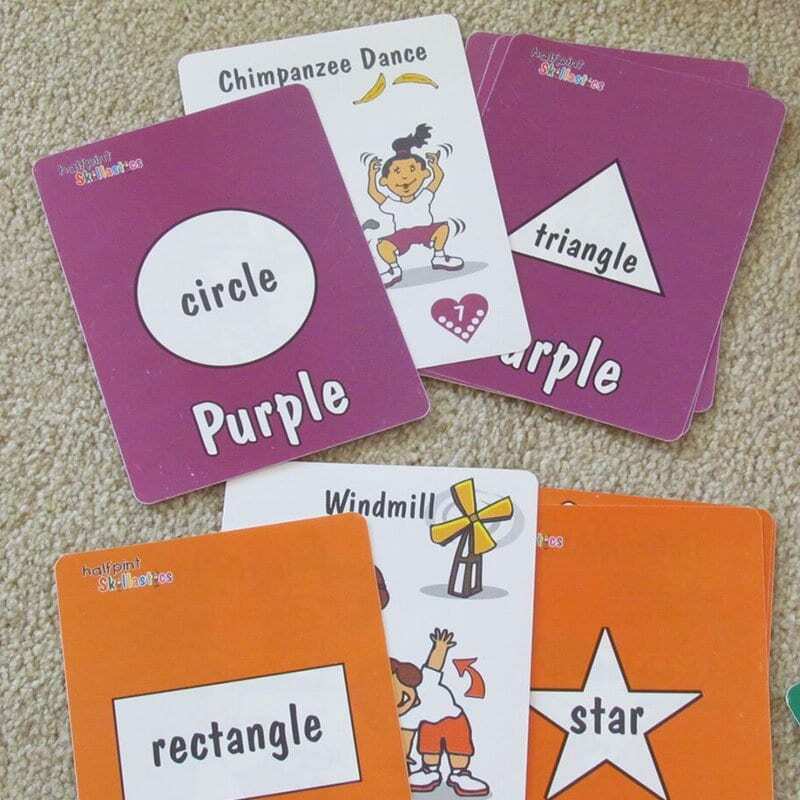 It is also a great way for students to review colors and shapes. We, as PE teachers, love that we can use this game with a large group of students and everyone can be active at the same time. We ordered Halfpint Skillastics for our Little Learners school readiness programs. The big foam dice are a definite favorite with kids. The set is very user friendly and a great way to get kids to be active! 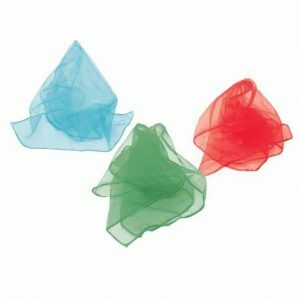 This is a most wonderful activity for preschoolers! They LOVE LOVE LOVE it! I used it this morning because I had to combine our preschool classes together as they had to have an extra practice for the music program. So I had 3 minutes with about 6 preschoolers. We all stood in a big circle (arms length apart), and the students were chosen randomly to come roll the dice and choose the color/shape of their choice. It kept all students engaged and moving and it was perfect. Thank you for creating such a wonderful activity for my students!